Yesterday, a male arsonist burned down an LGBT youth center in the city of Phoenix. Many were up in arms about the fire, and rightfully so. A male arsonist burned down the center out of hatred for gays and lesbians, right? Well, the answer is no, according to a new report by the New York Post. As it turns out, the suspect was a former member of the center. Is this a case of a bitter former attendee or a hate hoax? 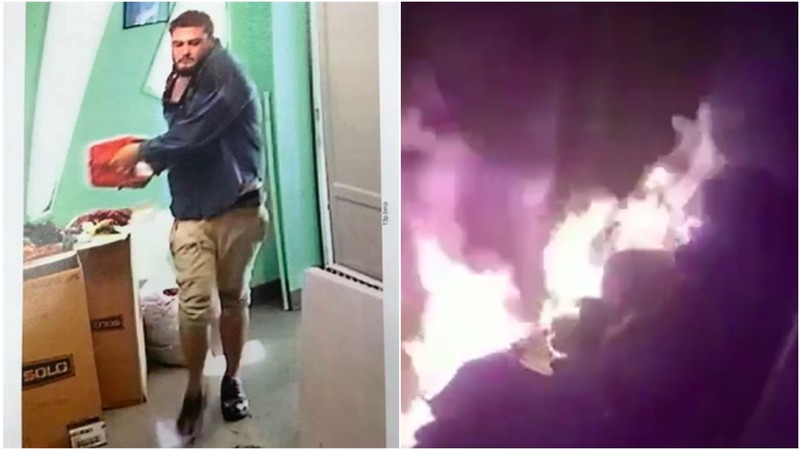 Authorities in Phoenix are looking for a man caught on surveillance video torching a LGBT youth center — one year after he aged out of the program. Darren William Beach Jr., 26, is being sought by police in connection to an intentionally set fire at the one.n.ten youth center in Phoenix on July 12. No injuries were reported, but some staffers at the youth center are “shaken” by the incident. Beach began using the center’s service in 2013 and aged out in early 2016 once he turned 25, according to the center. Investigators initially thought the building caught fire due to “spontaneous combustion,” the Arizona Republic reports, but video surveillance footage recovered from the building showed a man walking outside with a gas canister before emptying it on the floor inside. The room is then engulfed in flames. Police are mum about whether or not the former member was seeking revenge. Was it because he was no longer able to attend the center, or yet another news narrative around a fake hate crime? The Gateway Pundit is watching this situation closely and will update the story as details are made available.